After reading the thread on the new tach amp, I thought I might give making a modernized cruise amp a try... How much interest is out there if this works out? Based on the wiring diagram, it seems to be a pretty simple job with a microcontroller, with almost everything done in software. Why not just install an aftermarket system? You can buy complete setups for what a rebuilt controller costs. I've installed ARA systems on 4 cars over the years, and they work as well as any factory unit I've had. I like the ARA line, because they will supply a control stalk that appears to be factory installed. While these are primarily for American cars, they also have a generic stalk that resembles the Mercedes setup. And cheap! And easy! If you make a cheap reliable one that I can just put in with out having to really understand how it works... take one out-put one in....I and lots of folks will line up! 1983 300CD ('Stinky')155k miles, 2.47 diff, EGR removed, AAZ injectors with 265 nozzles from Sean,and vogtland lowering springs. That's what we have now, the rebuilt amps are just plug and play. I doubt anyone is going to make a replacement much cheaper. Having soldered the occasional SMT component, I would advise against a kit, at least until you complete the initial production run and get some user feedback. I've thought about this, going so far as to start a PCB design (only up to component placement, though). The biggest problem is the mechanical aspect - pins, pin frame, housing. If you rebuild failed units by reusing the mechanicals and replacing the PCB and electronics, you should be able to do this for under $100. This is the approach I took for my programmable interval wiper relay - replace the guts, keep the skin. I can see the parts costing less than $100, but what about the labor? make the buyer sign a liability waiver. Parts and labor. These modern microcontrollers have so much integrated function that parts count comes WAY down. My first pass at placement used a PCB that was less than one third the size of the original, and component count was about one fifth. There is also the ability to add function. My 300D is kind of doggy off the line unless I manually switch off the AC compressor. 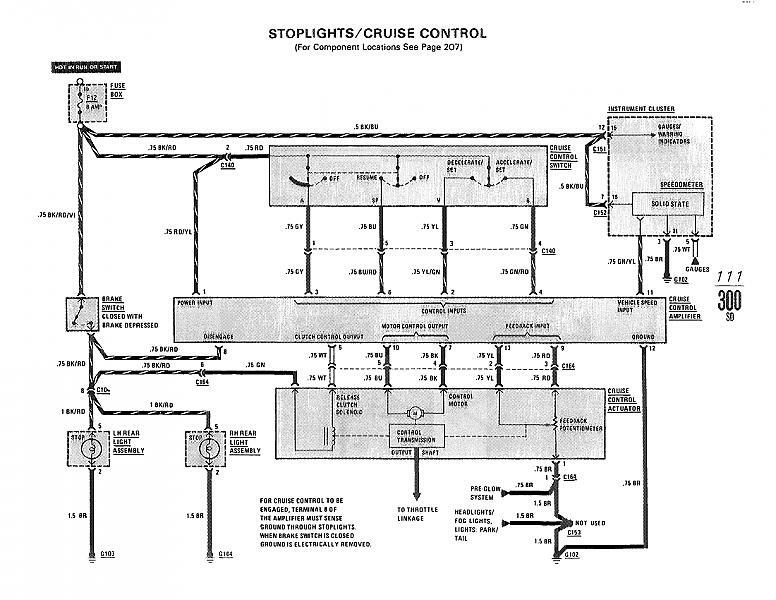 My cruise amp concept included a seven second compressor cutout when the accelerator pedal travel reached a certain limit, or when the accel pedal rate of change was large and positive. All software and almost no components.